Fall is in the air here…ok I may be rushing it but as September sets in I find my urge to bake becomes strong. 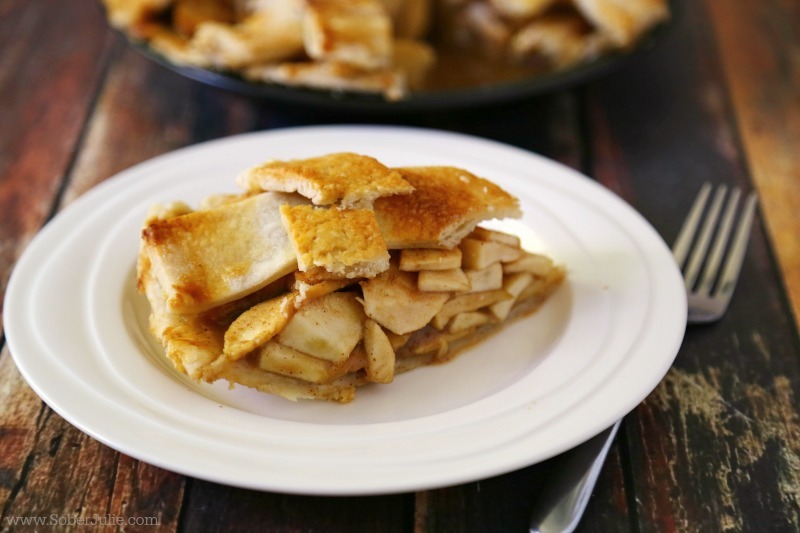 One of my favourites to bake is this Apple Pie Recipe and right now apples are in season which makes it even better. This recipe isn’t difficult…it’s all about the apples and the spices. Take your time with the dough, don’t over work it as it will become too stiff and your pie won’t be all that it’s meant to be. 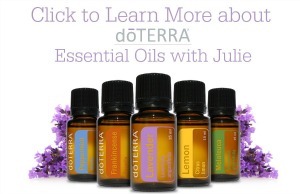 Feel free to omit any spices you don’t love…honestly it’s going to be a hit either way. 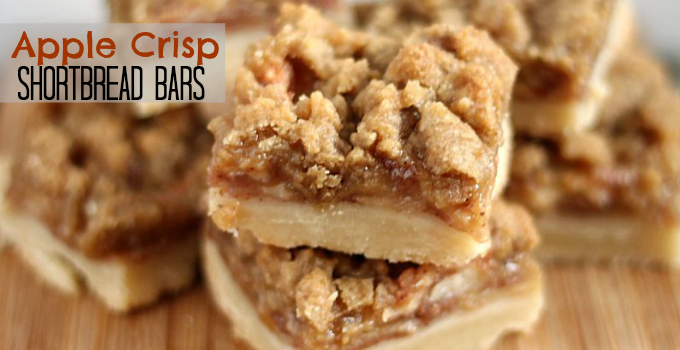 One of my most popular apple recipes is this Apple Crisp Shortbread bars recipe so I figured you all might want to try out my Apple Pie Recipe. Combine sugars, flour, cinnamon, nutmeg in a bowl. Add apple slices, vanilla and lemon juice and toss until all of the apples are well coated. Roll out pastry dough and place bottom crust in pie pan. Make sure to keep enough to create lattice as the top crust. 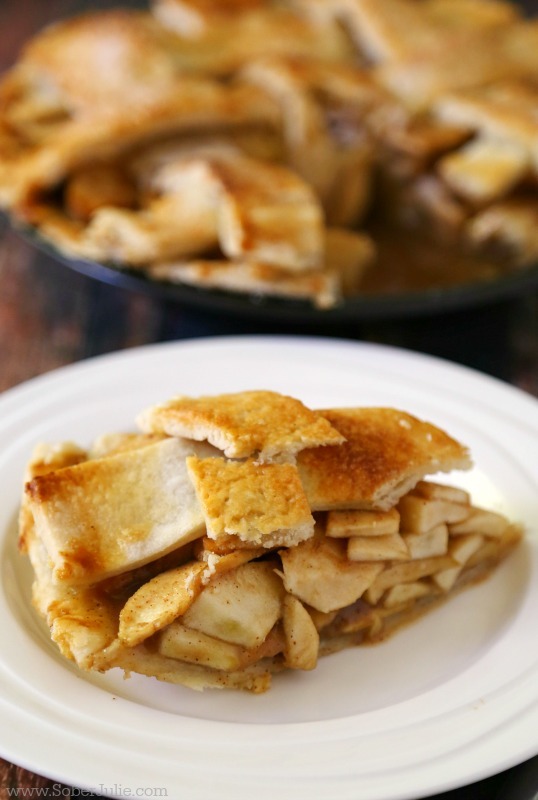 Arrange apple mixture into the pie pan. Cover with top crust (I cut my dough into one inch strips and weaved them). Beat egg with milk in a bowl and brush onto top crust. Bake in the oven at 450 degrees F for 10 minutes then lower to 350 degrees F for an additional 40 minutes or until crust is golden brown. Bake in the oven at 450 degrees F for 10 minutes then lower to 350 degrees F for an additional 40 minutes or until your crust is golden brown. 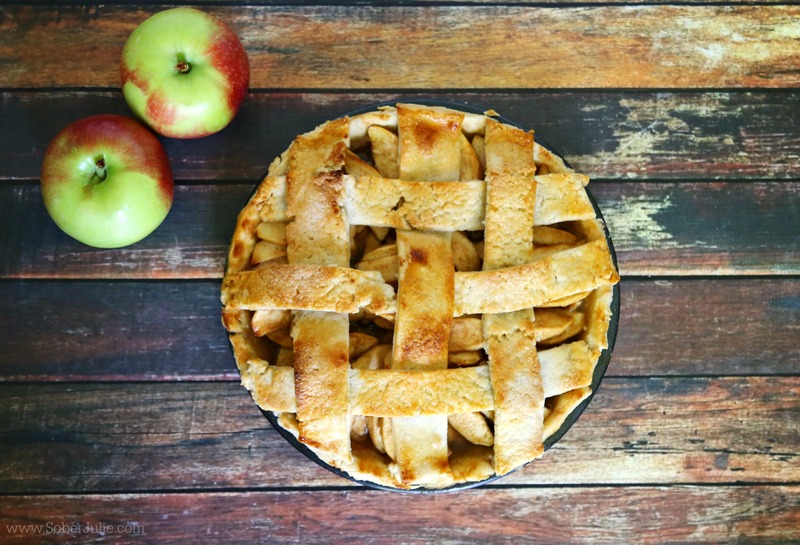 Need another apple recipe? 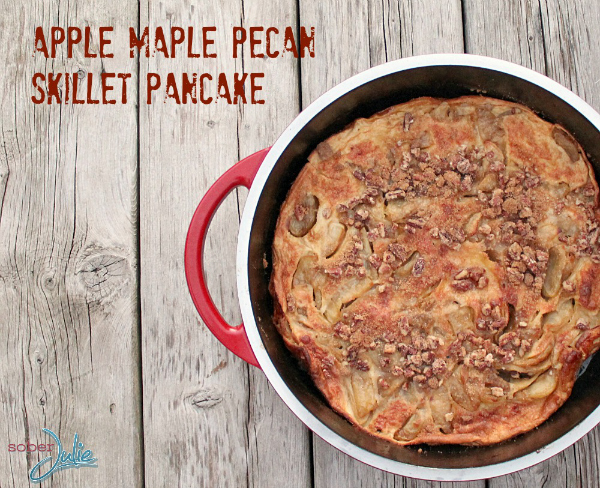 Check out my Apple Maple Pecan Skillet…YUM! 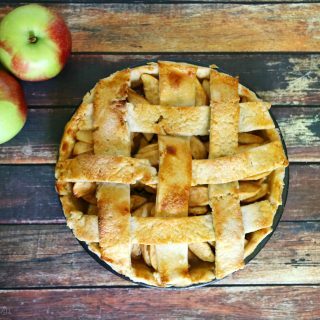 What are your favourite apples to use in a pie?.